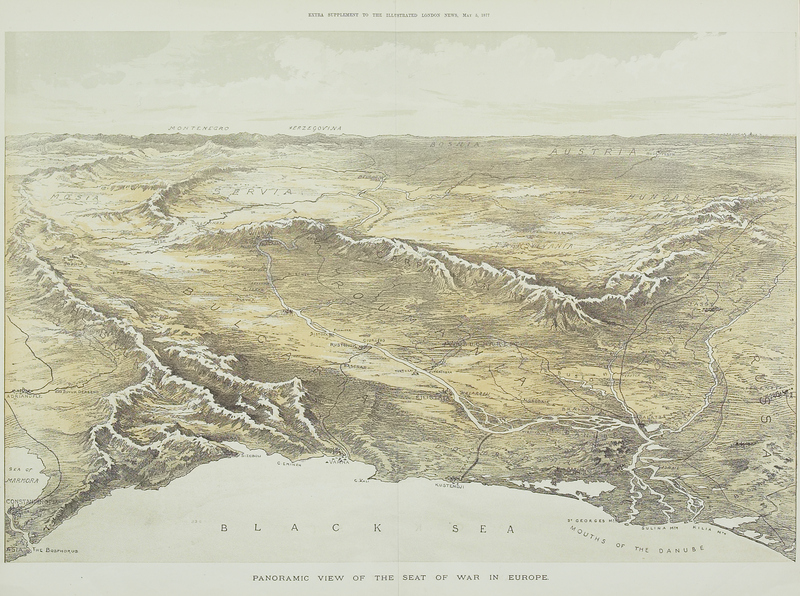 Panoramic View of the Seat of War in Europe, in The Illustrated London News, May 5, 1877, extra supplement. Size of the original: 40 × 54 cm. Thinkstock standard license.